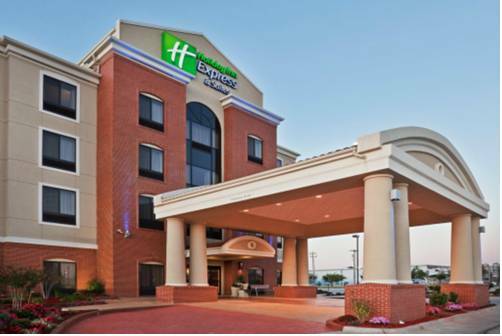 Welcome to Orlando's newest hotel, Holiday Inn Express & Suites Orlando East-UCF Area. Our newly constructed Holiday Inn Express & Suites Orlando East -UCF Area is conveniently located at the entrance to the Central Florida Research Park home to PEO STRI, Lockheed Martin, AON, Raytheon, SAIC, Northrop Grumman, General Dynamics & Rockwell. The University of Central Florida is located a short 3 miles from this Orlando hotel. The fastest growing university in the United States is home to The Knights, Brighthouse Networks Stadium at UCF, and the CFE Arena. The hotel provides direct access via State Road 408 to Downtown Orlando & the Orlando Venues such as the Florida Citrus Bowl Stadium & the Amway Arena. Various dining, shopping & entertainment options are located in the Waterford Lakes Town Center, 1 mile south of the hotel. Walt Disney World Resort & attractions are 40 minutes southwest of the hotel. Our newly appointed guest rooms and suites offer triple sheeted bedding, a choice of soft or firm pillows, flat panel HDTV, microwave & refrigerator, work desk, and free Wi-Fi. All guests receive a FREE hot breakfast including our world famous cinnamon rolls, fresh whole fruit, eggs & meat. Be sure to enjoy our spacious outdoor pool & state of the art fitness center.Our professional and friendly staff looks forward to welcoming you to your home away from home in East Orlando. State of the art meeting room with beautiful decor. We allow our clients to bring in catering from outside sources giving our customers plenty of options. Audio and Visual equipment are available if required. We offer free wireless internet service. Outdoor upscale shopping center featuring mid-scale chain restaurants, fast food, and discount retailers. Contains movie theatre & the new Cooper's Hawk Restaurant. Stoneybrook East Golf Club is an exciting championship golf course with a reputation for excellent greens and great course conditions. The quintessential 'Old Florida' style of Clifton, Ezell, and Clifton Design is very evident. Situated on 190 acres of Central Florida land, Eastwood Golf Club features lush rolling fairways that are bordered by strategic mounding and numerous lakes. Water comes into play on just about every hole.